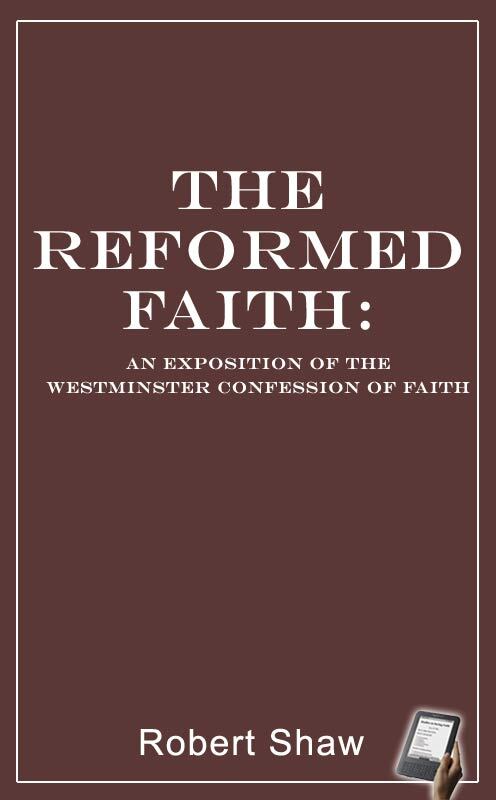 In preparing the following Exposition of the Confession of Faith, framed by the Westminster Assembly of Divines, it has been the object of the author to state the truths embraced in each section, to explain the terms; employed wherever it seemed necessary, and to illustrate and confirm the doctrines. To avoid swelling the volume to an undue size, the arguments have been stated with the utmost possible brevity; in the illustrations, conciseness, combined with perspicuity, has been studied, and numerous passages of Scripture, which elucidate the subjects treated of, have been merely referred to, without being quoted at large. It is hoped that the attentive reader will here find the substance of larger works compressed within a small space; that materials for reflection will be suggested; and that an examination of the texts of Scripture marked, will throw much light upon the points to which they refer. The Westminster Confession of Faith contains a simple exhibition of the truth, based upon the Word of God; but its several propositions are laid in opposition to the heresies and errors which had been disseminated in various ages. It has, therefore, been a prominent object of the author of the Exposition to point out the numerous errors against which the statements in the Confession are directed. The reader will thus find the deliverance of the Westminster of Divines upon the various errors by which the truth has been corrupted in former times, and will be guarded against modern errors, which are generally only a revival of those that had previously disturbed the Church, and that had been long ago refuted.